You must be a member of the The Hague Cinema Group to attend this activity. Would you like to join this group? As promised the update about the time of the movie. The time has changed and the movie is now at 21.00. So, let's meet at 20.30, get the tickets (I already booked one) and go to get the nice seats. Remember that at the Filmhuis, there are no seat numbers. Hello everybody and happy new Protected content ! 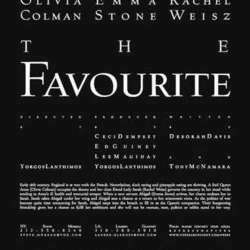 We are meeting to watch "The Favourite", by Yorgos Lanthimos. The movie should start at 20.45: the new movie-times are published on Wed. So keep an eye on the page as I will keep you informed.